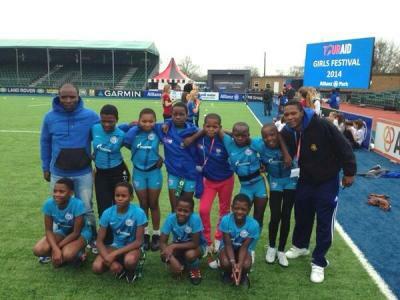 The SKRUM Programme in conjunction with the Swaziland Rugby Union will be holding a Tag Rugby Tournament in Malkerns to Celebrate 'Day of the Girl Child' Four primary schools have been invited to participate in the tournament. Thursday 11th of October will see Mangwayane, St Anderw's, Mphetseni and Mhlanya Primary Schools battle it out at the St Anne's High School sports field. Four schools representing their individual rugby clubs took part in the first Girls Tag Rugby Tournament held yesterday afternoon at the Mavuso Sports Centre in Manzini. Lamawandla represented the Elephants, Mount Hermon represented Lilanda, Mphetseni represented the Vondos and Ngwane Park represented the Rhino's. Lamawandla from the start proved to good for the other three sides and won all of their games. The race then changed to see who would be runners up.